Weekly family meals are a great way to bring together people in your dorm or your house. Last school year I lived in Buxton International house with 60 other students. On Fridays, some self-proclaimed house cooks would gather in the kitchen to whip up their own delicious dishes. Everyone cooks a dish or two, and we all sit down for dinner and share our food. If you are feeling ambitious you can try Megumi’s rendition of BGSK Soba Noodles with Ginger Chicken Meatballs. Or if you have been super busy with no time to cook, but you still want to participate in the festivities, then you can try one of these no-cook recipes. My favorite thing to cook is anything stir-fried with rice. It is convenient, has lots of fun ingredients, and is creative. You should create your own tradition of family meals to keep the dorm or house spirit alive. Sometimes when midterms roll around or when there are an overwhelming number of papers to write, your family meal is a great way to cook, relax, and catch up with your friends. Start this new school year with your own family meal tradition! Julie Sophonpanich is a senior at Brown University, where she majors in History of Art and Architecture. She is now happily living off campus in a house with her own kitchen, but misses her fellow cooks dearly. Heat up olive oil in a wok on medium to high heat. Once the oil is hot, add minced garlic and stir-fry until golden brown. 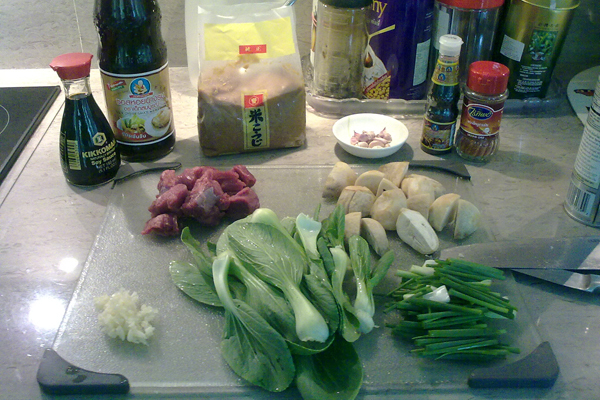 Add beef chunks and stir-fry for 3-4 minutes or until the meat is cooked. Then, add bok choy and mushrooms into the wok. Add miso paste, oyster sauce (or soy sauce), and honey. 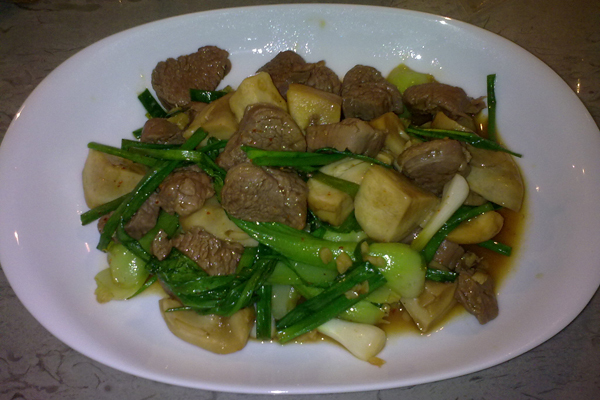 Once the beef is cooked, turn off the heat and add spring onions and red chili into the wok and stir. Taste for seasoning. Finally, serve with rice. Note: For tender beef, marinate the beef in 1 teaspoon of olive oil, 1 teaspoon of soy sauce, and a dash of honey for half an hour before cooking.